Easter, for me, isn't about cute bunnies & lots of chocolate (although I never say no to the latter, of course!) 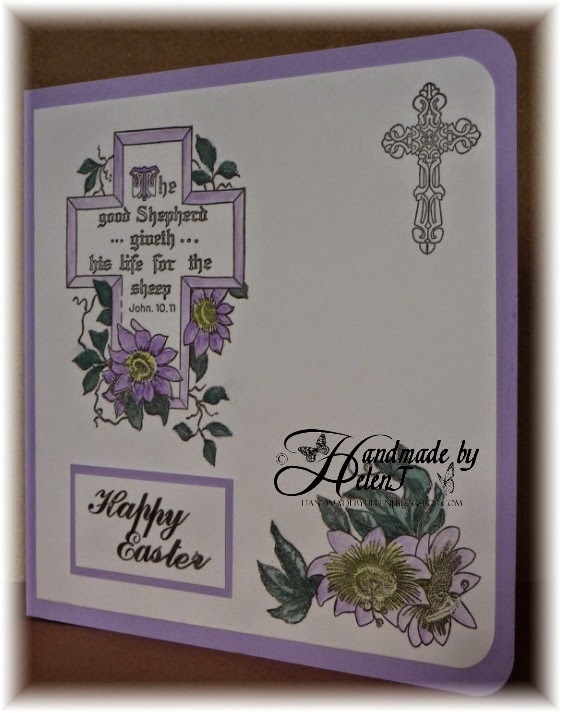 Easter is a religious festival, so the cards I make at this time reflect that. All that said, I don't believe in pushing my beliefs on anyone else, so I only send Easter cards to close family. 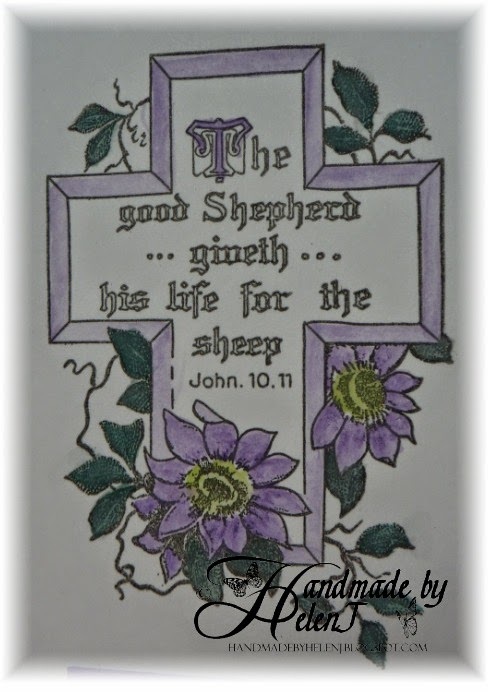 I've had the Papermania Moments of Faith stamps for a while although they haven't seen ink too many times yet, so I decided to rectify that. I'm really enjoying watercolour painting at the moment and this card is coloured using Derwent Academy pencils on watercolour paper. Here's a close up. Happy Easter!